Another Translation: Result of Spanish Elections, The Militant, Vol. IV No. 16, 25 July 1931, pp. 1 & 6. 1. I have before me the local newspaper of July 1st with the first information on the results of the Spanish elections. Indeed everything up to now rigorously follows a “planned” succession of events. The movement toward the left took place as if according to plan. Let us hope that our Spanish comrades will analyze the results of the elections with indispensable precision, after gathering all the material. It is necessary to ascertain how the workers, and particularly the anarcho, syndicalists, voted. In certain districts, the answer must quite clearly derive from the electoral statistics. It is most important, of course, to learn how the peasants in the various provinces voted. At the same time, it is necessary to gather all the “agrarian programs” which were presented by the various parties in the various parts of the country. This is a very urgent and very important work. 2. The socialists, as was to be expected, appear to have won a great victory. This is the central moment of the parliamentary situation. The socialist leaders feel happy for not being the majority in the Cortes, their coalition with the bourgeoisie consequently being justified by parliamentary statistics. The socialists do not want to take the power, for they justly fear that a socialist government will only be a stage on the road to the dictatorship of the proletariat. From Prieto’s speech it is clear that the socialists intend to support the coalition so long as it is thereby possible to hold back the proletariat, and then, when the pressure of the workers becomes too strong, under some radical pretext, pass into the opposition, leaving it to the bourgeoisie to discipline and crush the workers. In other words, we have before us a variation of the line of Ebert and Tseretelli. Let us remember that the line of Ebert was successful, that Tseretelli’s policy failed, while the decisive factor in both cases was the strength of the Communist Party, and its policy. 3. We must immediately expose the plan of the socialists (their political game of playing to lose), unmasking them on each particular question. This, of course, concerns in the first place the Spanish Left Opposition. But unmasking alone is not enough. 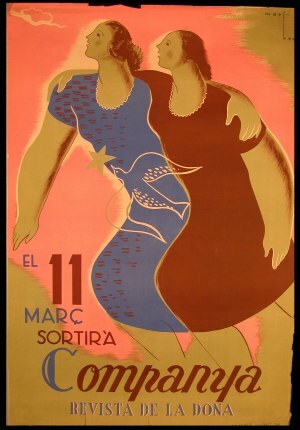 A clear political slogan, corresponding to the character of the present stage of the Spanish revolution, is necessary. The results of the elections make that slogan absolutely clear: The workers must break the bloc with the bourgeoisie, and force the socialists to take the power. The peasants must help the workers, if they want to obtain the land. 4. The socialists will appeal to the fact that they don’t have the majority in the Cortes. Our answer to that: genuinely democratic elections to the Cortes on the basis of a truly universal and equal suffrage for men and women from 18 years of age. In other words, to the non-democratic, falsified Cortes, we oppose in this given stage a truly popular, truly democratic, honestly elected Cortes. 5. If the communists, in this given stage, would turn their backs to the Cortes, opposing to it the slogan of the soviets and the dictatorship of the proletariat, they would only demonstrate that they cannot be taken seriously. There probably is not a single communist in the Cortes (this is the information given by the Turkish telegrams). Of course, the revolutionary wing is always stronger in deeds, in the struggle, than in parliamentary representation. But still, between the strength of the revolutionary party and its representation in parliament, there is a certain relation. 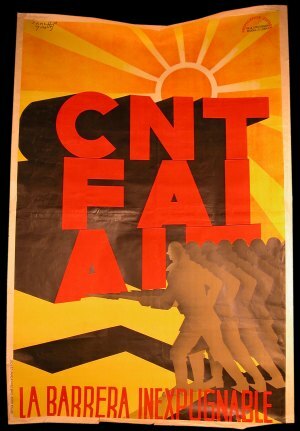 The weakness of Spanish communism is fully disclosed. Under these conditions, to speak of the overthrow of bourgeois parliamentarism by the dictatorship of the pro. letariat would simply mean to play the part of imbeciles and babblers. The task is to gather strength for the party on the basis of the parliamentary stage of the revolution by rallying the masses to us. Only thus can parliamentarism be overcome. But precisely for that purpose is it indispensable to develop a fierce agitation under the most decisive and extreme democratic slogans. 6. What should be the criteria for the launching of the slogans? On the one hand, the general direction of the revolutionary development, determining our strategic line; on the other hand, the stage of consciousness of the masses. The communist who does not take the latter factor into consideration will break his head. Let us meditate a little on the way in which the Spanish workers en masse take the present line-up. Their leaders, the socialists, have the power. This increases the demands and the tenacity of the workers. Every striker will figure that the government not only is not to be feared, but that on the contrary help must be expected from it. The communist must direct the thoughts of the workers precisely on that path: “Demand from the government. It is your leaders that are in it.” The socialists will appeal, in reply to the workers’ delegations, that they do not have the majority yet. The answer is clear: With a truly democratic electoral right and the split in the coalition with the bourgeoisie, the majority is assured. But this is what the socialists do not want. Their situation places them in contradiction with the slogans of thoroughgoing democracy. If we simply oppose to the Cortes the dictatorship of the proletariat, or the soviets, we weld the workers with the socialists, for both will say: The communists want to command us. Whereas under the slogan of democracy and of split between the socialists and the bourgeoisie, we push a wedge between the workers and the socialists and prepare the next stage of the revolution. 7. All the above reasoning would hang in the air if we limited ourselves only to democratic slogans and their parliamentary refraction. There cannot even be talk of such limitation. The communists participate in all the strikes, in all protests and demonstrations, raising ever new strata of the population. The communists are in the battle with and in front of the masses. On the basis of these battles, the communists put forward the slogan of the soviets, and, at the first opportunity, build soviets, as the organizations of the proletarian united front. In the given stage, the soviets cannot be anything large. But if they emerge as the combat organizations of the proletarian united, front, under the leadership of the communists, they will inevitably transform themselves at a certain stage into organs of insurrection and then into organs of power. 8. While audaciously presenting our agrarian program, we must by no means forget about the independent role of the agricultural workers. This is the main and basic piston of the proletarian revolution in the rural districts. The workers have an alliance with the peasants, while the agricultural workers are a part of the proletariat itself. This deep difference must always be borne in mind. 9. I learn from the Verité that the Stalinists accuse either the Left Opposition en masse, or me alone, of the fact that we allegedly are opposed to the immediate confiscation of the landlords’ estates. It can never be foreseen, indeed, in what direction the bureaucratic demagogues will turn this time. What does the “immediate” confiscation of the land mean? By whom? By what organizations? The inimitable Pen, it is true, asserted already in April that the Spanish peasants were creating soviets, and that every worker followed the communists. We, of course, are for the immediate taking over by the soviets (or unions, or committees) of the landlords’ estates. But it is still necessary to arouse the peasants. And for that it is necessary to tear the workers away from the influence of the socialists. One cannot be done without the other. Or maybe the Stalinists want to say that we are protecting the landlords’ property? But even in calumny there has to be some logic. How can the defense of the landlords’ property be derived from the position of permanent revolution? Let them try to explain that to us. We, on our side, shall recall that when the Stalinists in China pursued the policy of the bloc of four classes, the Politburo, under Stalin’s leadership, sent a telegram to the Central Committee of the Chinese Communist Party, demanding that the peasants’ movement be held back, in order not to repel the “revolutionary generals.” In the agrarian program, Stalin and Molotov included a small limitation: the confiscation of landlords’ estates, except those of the officers. And as all the landlords, their sons and nephews entered Chiang Kai. shek’s army, “revolutionary” officership became the insurance of landlords’ property. This shameful chapter in the history of Stalinist leadership cannot be crossed out. At that time, the Opposition found a copy of the telegram in the minutes of the Politburo, and disclosed and stigmatized this ignominious treason to the agrarian revolution. Now, these gentlemen attempt to throw on us in Spain the crime which they themselves committed in China. But no: now the Opposition has its sections in almost every country, and it will not let lies and filth be spread on it unpunished. In the living experience of the Spanish revolution the Left Opposition will clear up all the basic problems and will make a gigantic step forward. It is not in vain that revolution is the locomotive of history.